Nestled on 20 private acres, a somewhat steep, winding drive leads to the house, providing perfect seclusion despite being easily accessible to town. The grounds offer an array of opportunities for activity and relaxation: the pool (seasonal) for summertime lounging; a fire pit for stargazing and storytelling; a large grassy garden, great for lawn games; forested acres for exploring; and lake access for canoeing, just a short walk down the property. 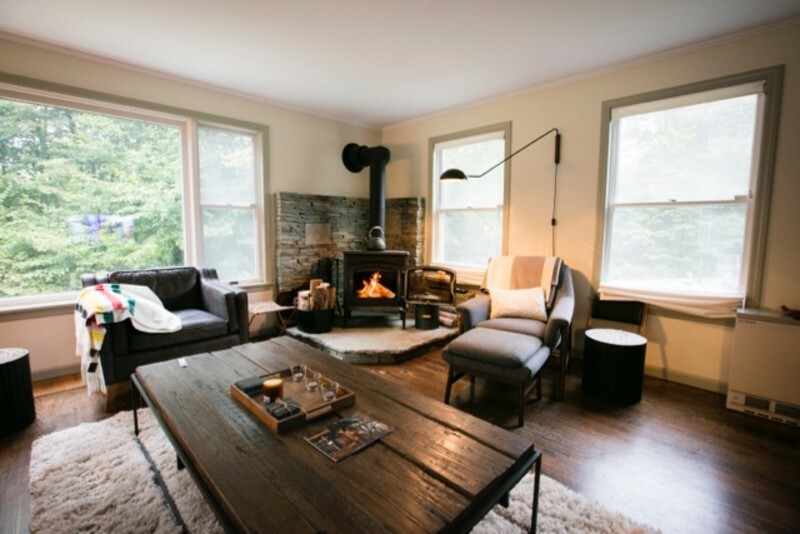 When venturing out, you’ll find that Jeffersonville is centrally located to the up and coming social hubs in this part of the Catskills such as Livingston Manor, Callicoon and Narrowsburg. Come out and make memories enjoying breweries, wine shops, restaurants, hiking and so much more!